Dubai racing, best Dubai racing places for horse, car and bike. There are several races in Dubai every year. Dubai racing events are famous for its glamour like horse racing events on the meydan horse race course or Camel racing on the largest Camel racing course east of the City of Dubai. 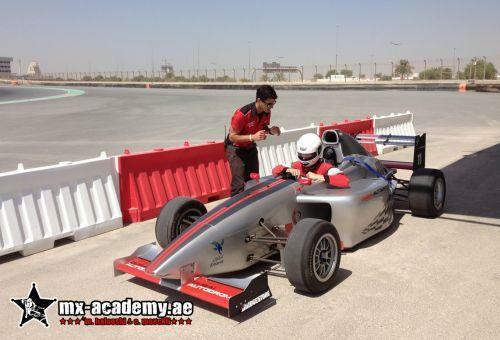 Dubai Autodrome offers also motorbike races and hobby races like with your own Ferrari or Porsche at Dubai Autodrome. More links that you might are interested in, are Dubai activities, Dirt-Bike Dubai and things to do in Dubai. If you want to experience a really good Dubai Racing adventure and you are about to feel the thrill that comes with racing, have a look at our ultimative recommendation how to spend a week with races of any kind in Dubai. Dubai Racing - Day 1: You arrive in Dubai and check into your chosen hotel. Have a look out of the window while enjoying a nice fruity drink. Relax for a second before getting the blast! Now you´re ready to start your racing week at the Meydan Racing Course. This huge racing facility is able to accommodate over 60,000 spectators in a 1 mile long grandstand. Meydan is closely affiliated with Mohammed bin Rashid Al Maktoum. Come and get your ticket to experience that fascinating Dubai racing place. Dubai Racing - Day 2: The next morning after a healthy breakfast you can enjoy a motocross lesson at MX Academy. Learn how to drive in the desert or improve your abundant motocross skills. In the afternoon take a racing bicycle and go along the beach or famous new tracks or having fun doing some fitness. Enjoy Dubai Racing every day! Dubai Racing - Day 3: The new morning you can start with a visit of the famous Dubai Autodrome to get self driving experience on Formula 1 racing cars. The Dubai racing facility offers a great opportunity to anyone who desires simple arrive and drive at the Race and Drive Centre. The driving will be safe with a well experienced guide as a co-driver. That amazing place is located in the Dubai Motor City. In the afternoon you can join your second motocross coaching lesson at MX Academy with Chris or Mohammed. Dubai Racing - Day 4: To get well and fresh in the morning you can have an amazing swimming pleasure on one of the various beaches of Dubai. Also you can have a good work out there. 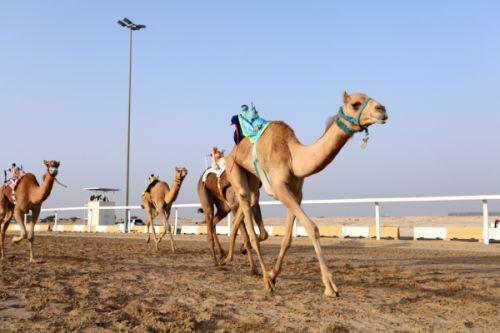 In the afternoon at 3pm you can enjoy the terrific camel race - Al Marmoum Camel Racetrack - in the desert. It´s open for public from September to April. Experience the interesting mix of cultures from old ages and now. It´s the most famous Dubai Racing attraction in the world! The Track is located at Dubai Al Ain Road. 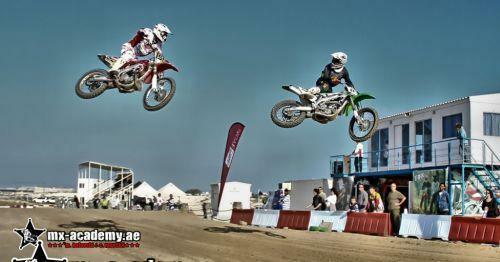 Dubai Racing - Day 5: Next morning we recommend your third motocross coaching with Mohammed or Chris. Prepare for more racing skills and improve your desert driving! In the afternoon we plan your desert ride with MX Academy so you can train open desert skills. So experience your own Dubai racing in the Empty Quarter. Dubai Racing - Day 6: Everyone who is interested in horse sport has to visit Dubai International Endurance City. The city was built for endurance racing like marathons with horses. There are eight events from November to March each year. The races range from 40km to 160 km with horses and their riders. The horses are getting checked after every end of phase to see if they are healthy to continue racing in the desert. A horse can speed up to 30 km per hour when it´s really fit. You can find that amazing Dubai Racing place in the Seih Assalam Area next to the Bab Al Shams Resort. Dubai Racing - Day 7: Get your finest Dubai racing experience in the desert and hold that memory. If you are a very beginner or you have intermediate riding skills come over and learn from the best coaches Mohammed Al Balooshi and Chris Moeckli. Or you are already advanced in racing and you want to train in the desert visit MX Academy. When you ready for some serious racing, desert riding and dune bashing in Dubai click here for more Information. 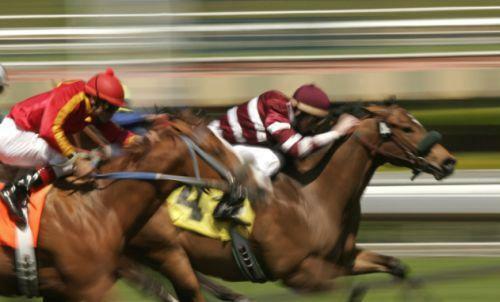 We will bei happy to arrange your Dubai Racing trip according to your wishes and on your desired dates.